How long is that line? How wide is that suitcase? Will that box fit on this shelf? Questions like that are one of the few things you can't necessarily Google an answer to nowadays. But they can be solved with the aid of a simple measuring tool, the ruler, or its grown-up cousin the yardstick. 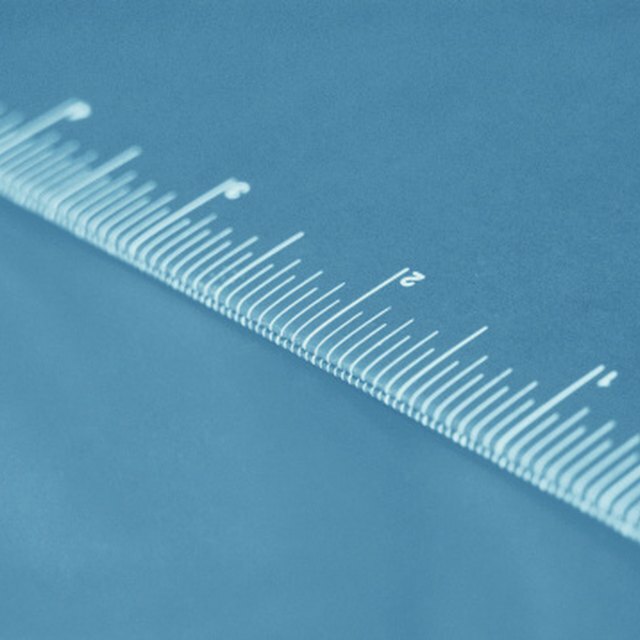 While some rulers will show only the US customary measures of inches and feet, most also have a metric side that measures length in millimeters and centimeters. Before you start lining your ruler up and measuring things, take a look at the numbers running down the sides. 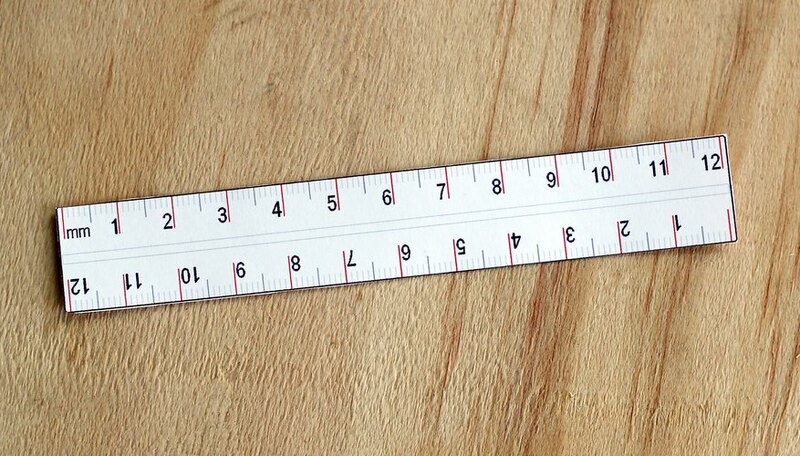 If there are numbers on just one side of the ruler, they almost definitely show US customary measures: inches and feet. If the ruler has measurements down both sides, one side will show US customary measures; look for the side where the larger marks (inches) are numbered up to 12. The other side of the ruler will have markings for cm and mm measurement. The distance between numbered marks on that side will be shorter than on the inches side, and the numbered marks will go as high as 30, because there are approximately 30 centimeters in 12 inches (the length of the standard ruler). The small lines between the larger, numbered lines represent millimeters. Now that you've identified which side of the ruler has metric measurements, line that side of the ruler up with the object you're measuring. The "zero" line on the ruler usually doesn't line up exactly with the edge of the ruler, so make sure you put that zero line even with one edge of what you're measuring. Millimeters are usually used to measure very small things. If you're measuring a very small object, it may be easier to bring the object to the ruler instead of the other way around. Now that the "zero" mark on your ruler is lined up with one edge of the object you're measuring, read along the ruler until you reach the far edge of the object being measured. Because the marks on a mm ruler are quite small and aren't numbered, it may help to put your finger, or the point of a pen or pencil, down to help you keep your eye on the correct mark. Next, count the number of millimeter marks, starting from the zero line of the ruler and continuing until you reach the mark that lined up with the far edge of your object. The number of marks equals the object's measurement in millimeters. You don't actually need to count every single millimeter mark along the ruler – you can use the numbered centimeter marks as a shortcut. Each centimeter is equal to 10 millimeters, so if your object measures 4 centimeters long, that's equivalent to 4 × 10 = 40 millimeters. Often, your measurement in millimeters will fall between centimeter marks on the ruler. In that case, count centimeters up until the mark just before your measured object, then add in however many more millimeter marks it takes to reach the line you measured to. Once you understand that 1 centimeter is 10 millimeters, you don't need to do the multiplication to convert between these two units of measure. Just count by tens for each centimeter mark. For example, if you'd measured an object that reaches up to the 5 centimeter mark and then another 5 millimeters beyond that, instead of counting "one... two... three... four... five..." for the centimeters and then multiplying to convert them into millimeters, you can just count millimeters by tens: "ten... twenty... thirty... forty... fifty..." and then add in the remaining 5 millimeters for a total measurement of 55 mm. OnlineConversion.com: How Do I Read a Ruler? Maloney, Lisa. "How to Read mm on a Ruler." Sciencing, https://sciencing.com/read-mm-ruler-7541502.html. 19 October 2018.